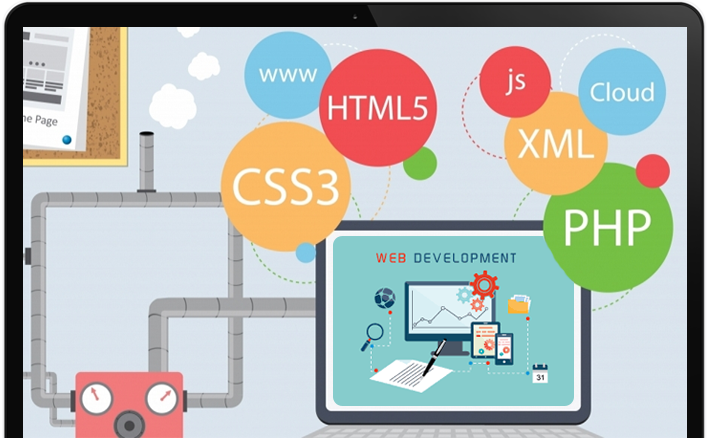 Web development is that aspect of your website that ensures fast and error-free loading and provides a flexible web structure so that the future expansion of business can be supported. At ORS Infotech, our programmers ensure flawless coding of your website to make it fast and free from technical glitches. Presently, WordPress is one of the leading blogging platform and it is also a popular tool for web development. WordPress offers you host of templates so that you can choose a layout that best matches your business interests or personal preference. The open-source CMS application makes it very easy for you to edit or modify content, add images or make changes in other features of the website. In fact, you do not even need to be trained in HTML to make the changes in your WordPress website. At ORS Infotech, our web development team is well versed in PHP and MySQL, the programming and scripting languages that help make WordPress sites more interactive and user-friendly. Just like WordPress, PHP is an open source server side programming language. This means you can install and use WordPress sites for free. Why WordPress Blogs and Sites are So Popular? Being an open-source programme, it is free to install and use. It comes with easy and user-friendly functions. Even a layman, with very limited HTML knowledge can make modifications. It allows you to have a customized domain name for your site. WordPress sites are compatible with most web designs thus helping to create search engine friendly websites. You get a plethora of plug-ins and themes which helps create a better user interface and website navigation. At ORS Infotech we can help you create a WordPress site that best suits your business concept be it lead generation, a business website with an integrated blog function or to create a website with advance features like ecommerce, social networks or membership options. We design creative and powerful WordPress sites that are search-engine friendly, secure, HTML5 and retina ready. We can incorporate all desired features while maintaining the aesthetics and functionality of the website. We can also create mobile responsive WordPress sites if you so desire. This means, your website could be viewed seamlessly over mobile devices as well as over a desktop.